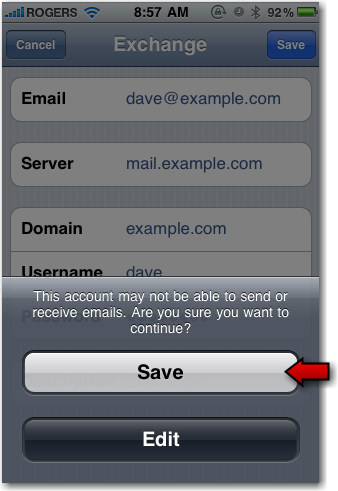 Applies To: Customers with TOAST.net Corporate Mail accounts wishing to synchronize email, contacts, and calendars with an iPhone or iPad. 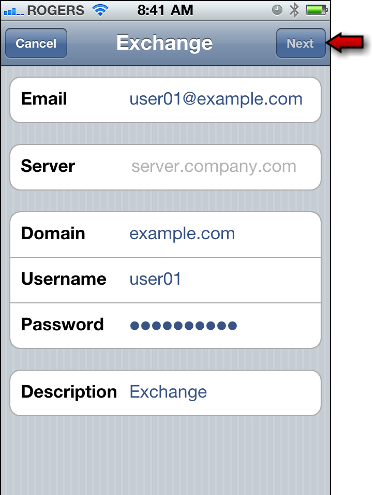 On the home screen, open Settings, then select Mail, or Mail, Contacts, Calendars. 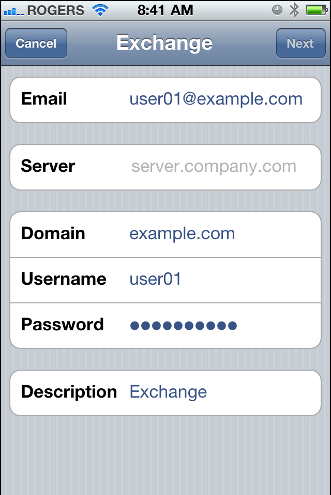 The Account Setup dialog will remain on the screen, but the Server field will now become active. 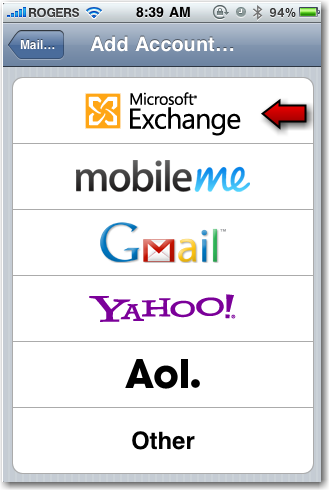 Fill in mail.corp.toast.net. 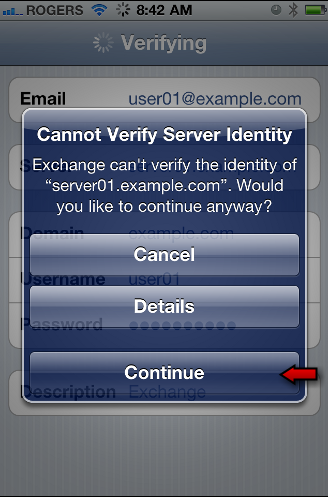 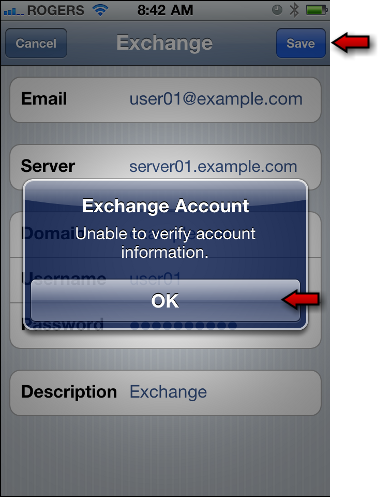 You may receive a notice ‘Cannot Verify Server Identity’ or 'Unable to Verify Account Information'. 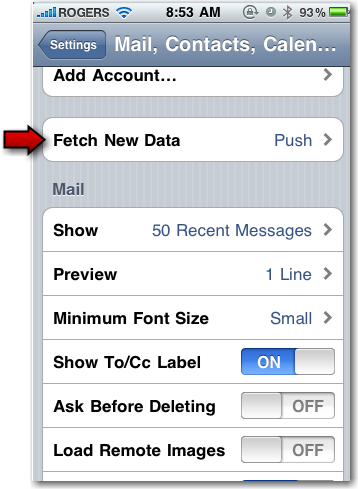 Touch Continue or OK.
Set the Mail slider to ON, set the Contacts and Calendars sliders based on preference. 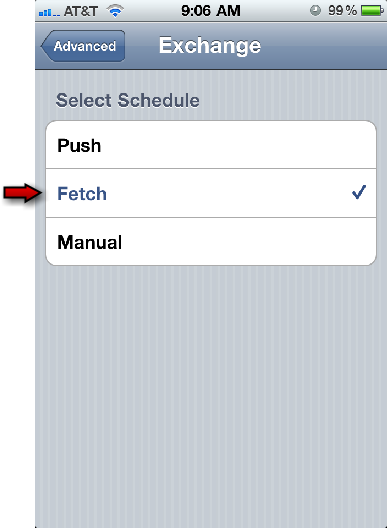 Note: The implementation of ActiveSync for MDaemon 12 does not support push, the device needs to fetch the changes either on a timer or as the data is accessed. 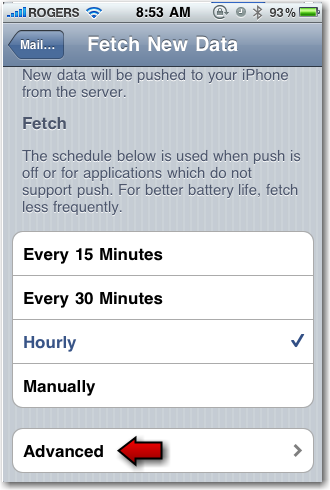 If you change the settings to Fetch, and set the timer to every 15 minutes (in the above step 15), then you will get changes made from WorldClient within 15 minutes without needing to open the application.